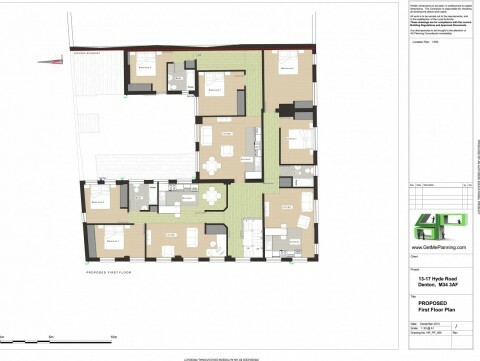 The client instructed 4D Planning to advise on the best way to achieve residential on this site. 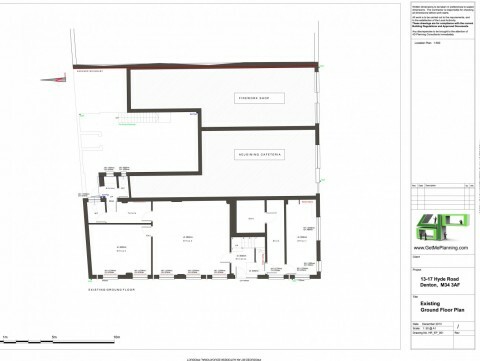 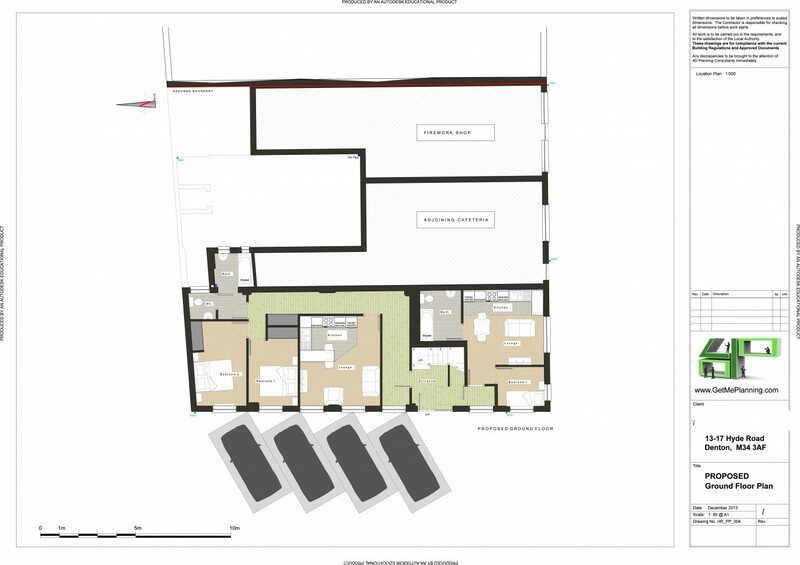 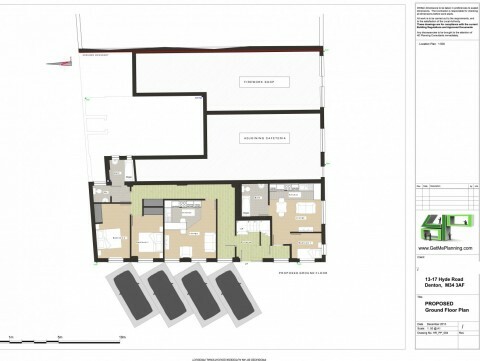 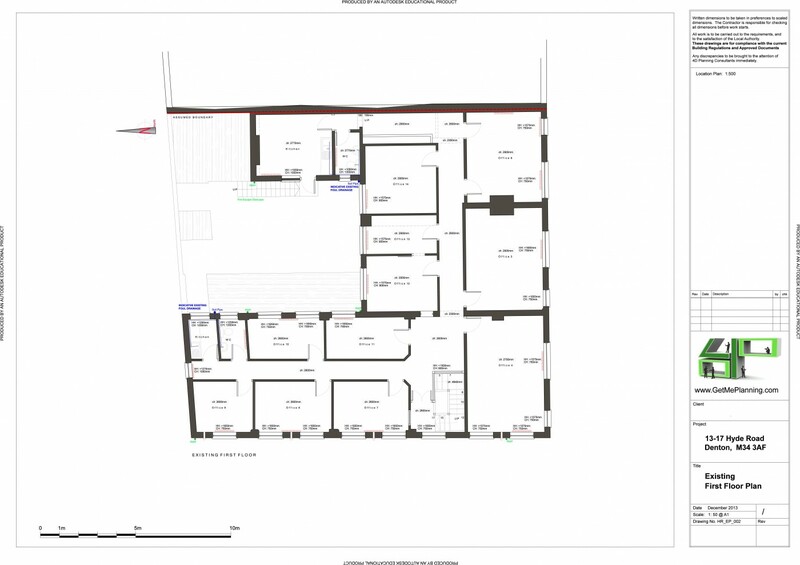 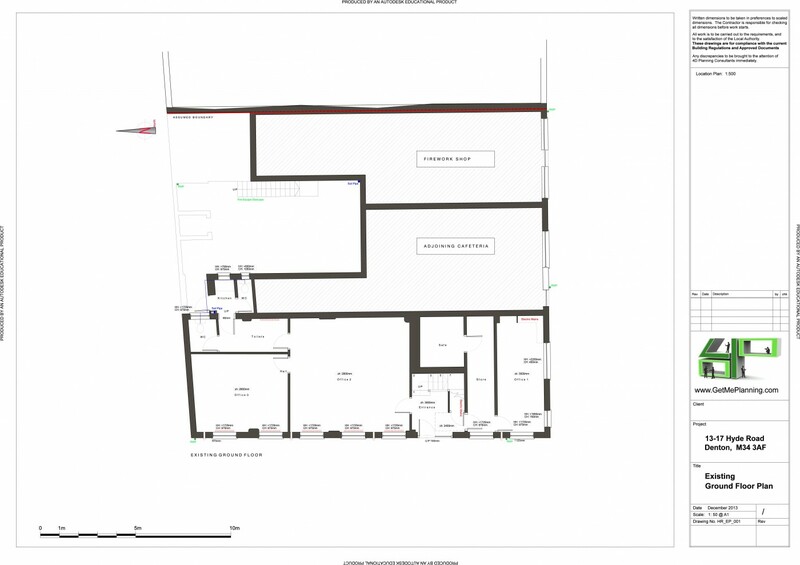 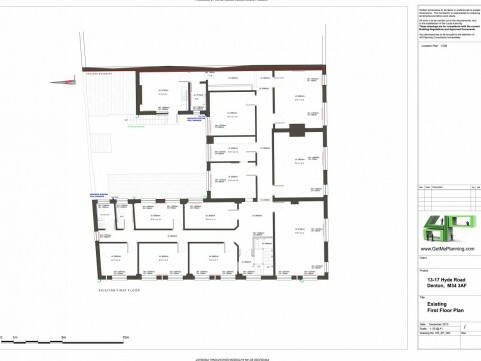 The property was offices (B1) and had permitted development rights to be converted to C3 residential. 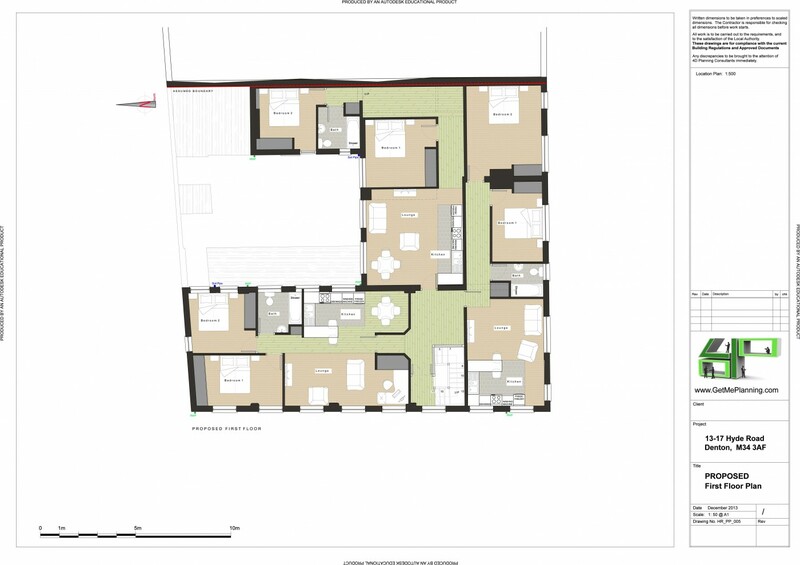 Following a site visit and meeting with the client, we produced the architectural drawings for 3-4 flats and produced the planning documents to support the Change of Use. 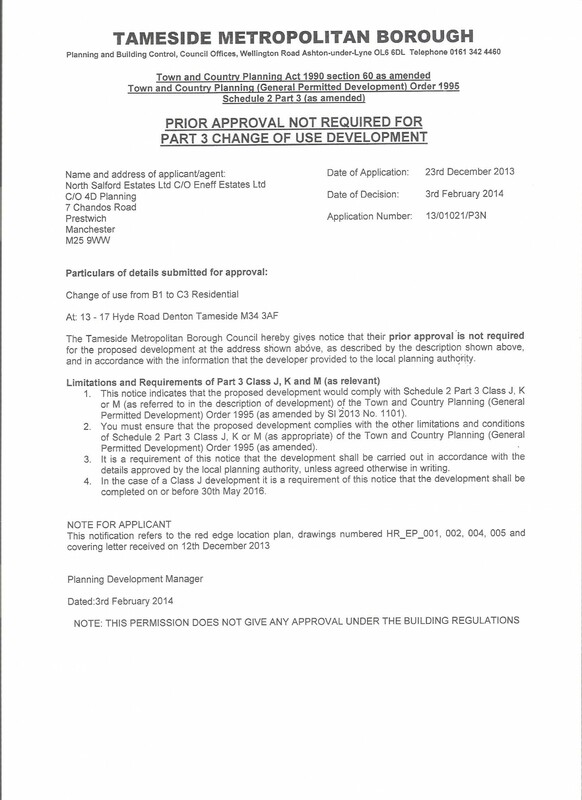 Tameside Council assessed the application and within 56 days the application was approved.